At OPS we understand that the approach needed when treating children is very different to that of adults. Our clinicians are committed to creating a safe, calm environment where each child’s individual needs are recognised. We focus on a team approach, and work together with parents, physicians and other therapists to give each child the best possible outcome. Where possible, explain to your child what is going to happen. Your therapist may be able to help with this. You may also request a children’s book from OPS reception called “Woody and Jessie’s new shoes” which guides children through the process of having AFO’s fitted. If you have any special requests prior to your child’s appointment please contact us and we can take these into consideration. For clients initial assessment or cast up to 60 minutes. It is best to make appointments earlier in the day when your child is less likely to be tired. You will need to wait in reception prior to your appointment. You will then be taken into the cast room. Your child’s socks and shoes will be removed. The clinician will cover your child’s leg in soap so the plaster doesn’t stick to their limb. Plaster is then applied to the leg. A zipper is then drawn in texta on the front of the cast. 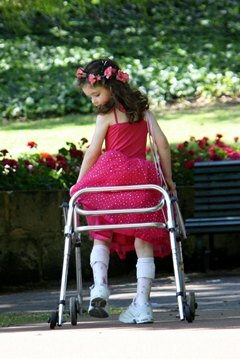 Where possible, the child may then choose a design which will form the cover of their AFO’s. A follow up appointment will be booked for two weeks time. Your child’s AFO’s will be fitted at this appointment. You will be given an information sheet, which answers questions such as how many hours your child should wear their AFO’s for and what is normal in terms of pressure marks etc. A review appointment will be booked for two weeks time post-fitting to ensure all is going well for your child.